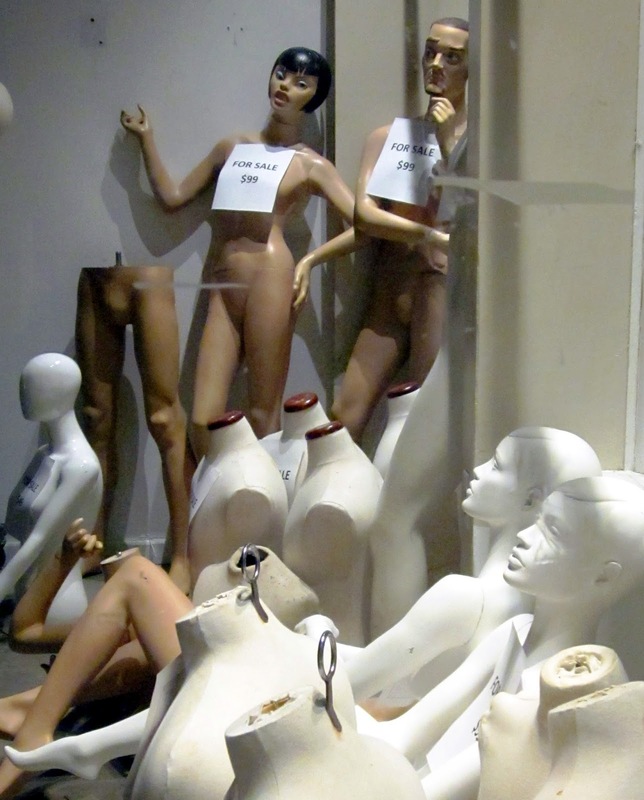 These mannequins were all sitting or standing in the corner of a store which is being renovated. There were a whole row of them on the floor in various positions, all looking very patient as they awaited their fates. The two mannequins in the centre back had signs that said "For Sale $99". If they could talk, I wonder what they would say? I love the contrasting colours of the mannequins. Great shot.